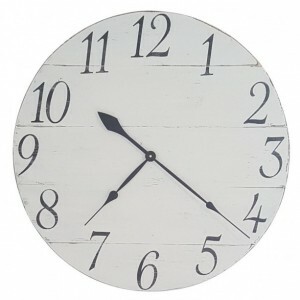 Our 26” diameter classic farmhouse wall clock with a contemporary appeal. 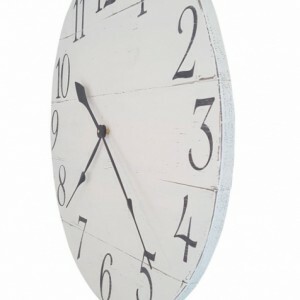 We've built this timepiece from new 1x6 pine lumber. 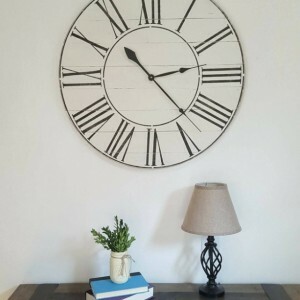 Creating a sleeker appearance, we've painted the horizontal boards in Antique White and added black hand painted numbers. 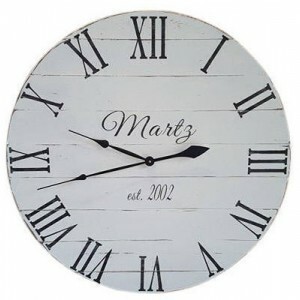 Black matte hands make this clock readable at a glance. 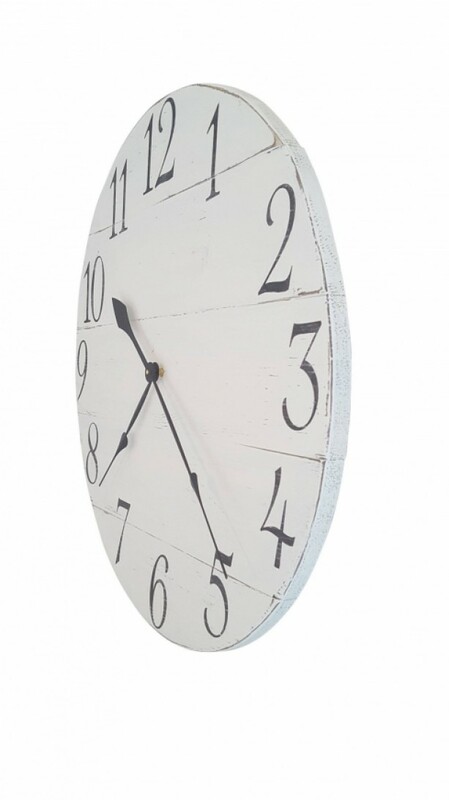 Fully functional, this clock is ready to hang in your home with minimal set up on your part. For your ease the clock mechanism and hands will be packaged separately, and AA batteries are not included with this purchase. *Handmade using new 1x6 pine wood (will have some imperfections in the wood such as knots. However, we feel this adds to that rustic look!) *Distressed? Yes *Includes 1 High Torque Clock Movement and set of Clock Hands (Hands vary due to size). *Some assembly required. Clock motor and hands will be individually wrapped to help protect them during shipping. Set of installation instructions will be provided. *Not recommended for Outdoor Use. 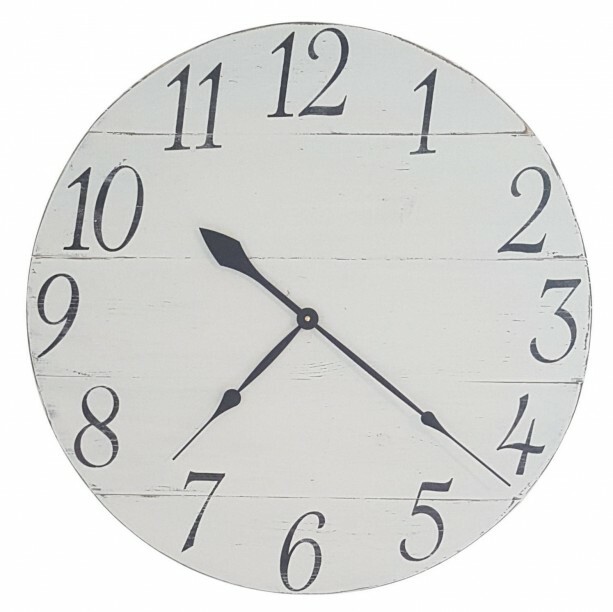 Our current wait time on a clock is 7-14 days due to our volume of orders. We strive to get it done as quickly and early as possible.